"The reports of my death have been greatly exaggerated." Look up ‘premature obituaries’ in Wikipedia and you will quickly discover a list of famous people as long as your arm who have mistakenly been reported as dead. Sean Connery and David Cameron to name just two. Some have since shuffled off in their own good time, others remain alive and well. References to ‘Gen Z’ (defined as 15-24yrs) are everywhere these days as brands and retailers seek to demystify these new kids on the block. Gone are the old stereotypes of sulky, uncommunicative Kevin-The-Teenager characters. In their place we find a fascinating cohort, complex and cynical, confident and communicative and surprisingly worldly. It’s been a brutal few weeks for the UK retail sector, with various reports in the media about the state of the high street, and speculation about the demise of offline retail. And it isn’t all down to the growing strength of online retailers or even Beasts from the East! 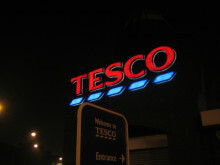 Tesco’s latest results have revealed pre-tax profits of £1.3 billion for the year to 24 February, up from £145 million for the previous year, as UK like-for-like sales rose 2.2 per cent. 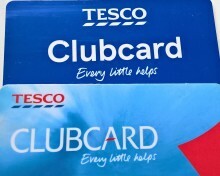 This came on the back of innovations like the introduction of a contactless Clubcard, which was rolled out to 18 million Clubcard members during the period. Tesco has posted pre-tax profits of £1.3bn for the year to 24 February, up from £145m for the previous year, as UK like-for-like sales rose 2.2%. Danielle Pinnington, managing director at shopper research agency Shoppercentric, said Tesco’s approach, under boss Dave Lewis, seems to be paying off. On the 3rd March The Grocer ran an article about Home Bargains inviting reps to make drive-thru pitches. The idea is to make buyers more accessible, encourage quick decision making, and cut the queues in reception. It’s worth noting the article said the likes of P&G would still be allowed through the reception doors, but it’s certainly a novel idea. We add our view on the recent news that Morrison's have reported an 11% rise in profits. Danielle Pinnington, managing director, Shoppercentric, observes: “Morrisons has been working hard to understand what today’s shoppers need from their stores, and putting those learnings into practice. Keeping an ear to the ground is so important as shopping habits, household spending pressures and the competitive context change so quickly. 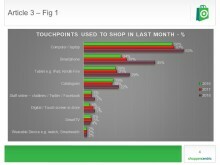 UK shoppers turn to smartphones for groceries Shoppercentric’s Stock Take Index, which comes from a survey of over 1,000 Brits, has found a substantial increase in smartphone usage for grocery shopping. A sizeable majority (57%) of consumers now use discounters at least once a month for their grocery shopping, up 13% on 2017 figures, new research reveals. 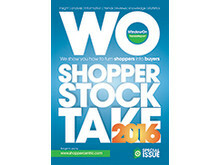 Shoppercentric’s latest Shopper Stock Take Index finds proportion shifted to little and often has plateaued at 16%. 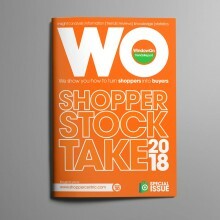 The proportion of shoppers who have abandoned a big weekly shop in favour of shopping little and often has stalled at 16%, according to the 2018 edition of the Shoppercentric Shopper Stock Take Index. FMCG: Will the Brexit Grinch steal Christmas? This year shoppers are entering the season of goodwill with a certain amount of angst. Consumers are noticing that their household budgets are under pressure, whether because of reduced incomes or because of increased prices. And the Brexit nail-biting is becoming something of a national pastime. A lot of what we capture in shopping research can be classed as semiotics – the meaning that signs and symbols add to a purchase decision. For example, if you spend enough time with shoppers who buy pre-packed meats you soon learn how they use visual cues to support price laddering. In a recent Mintel report online grocery sales were predicted to be worth £11.1bn in the UK in 2017 -an increase of £1.1bn since 2016. 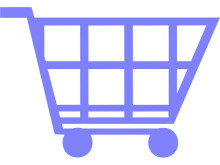 Other data shows that the online channel accounts for six percent of all grocery sales, and that the proportion of shoppers buying most or all of their groceries online is growing – 14 percent in 2017 vs seven percent in 2014. 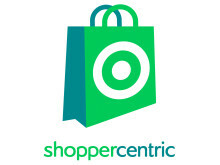 A collaborative thought piece By Big River Solutions & Shoppercentric Shoppercentric and Big River Solutions have been collaborating for over 5 years, bringing together their expertise in Category Management / Shopper Marketing Solutions and Shopper Insight. 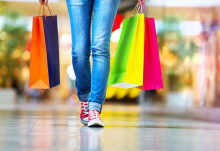 One in three shoppers have stopped buying a brand or from a business because they were uncomfortable with what they stood for, according to a new study out this week. 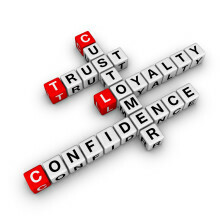 Econsultancy- How can brands combat a lack of consumer trust? 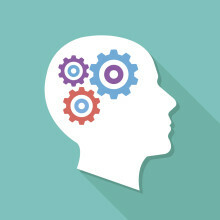 New research suggests that today’s consumers are more distrustful than ever before. According to Shoppercentric’s latest report, a whopping 46% of people fall into the ‘cynical’ bracket - displaying a distinct lack of trust in others. This naturally extends to brands, with the majority of shoppers rating corporate retailers and companies poorly when it comes to putting consumer interests first.